MH370 search: "We have pursued every possible lead presented to us at this stage"
Transport Minister Hishammuddin Hussein said the search is at a “very critical juncture”. THE EFFORT TO find missing flight MH370 is at a “very critical juncture”, Malaysia’s transport minister said today as authorities mull whether to reassess a challenging search of the Indian Ocean seabed that has so far found nothing. “The search for today and tomorrow is at a very critical juncture. So I appeal for everybody around the world to pray and pray hard that we find something to work on,” Transport Minister Hishammuddin Hussein said. Malaysia was already in discussions with private companies on the possible use of more deep-sea vessels if the mini-submarine currently searching the ocean floor fails to make a breakthrough, Hishammuddin added. The Boeing 777, which vanished on March 8 carrying 239 people, is believed to have crashed in deep remote waters far off Western Australia, though no trace of it has been found. The Australian-led search effort is relying on a single US Navy submersible sonar scanning device to scour an uncharted seabed at depths of around 4,500 metres (15,000 feet) or more. Technical hitches, including the fact that the torpedo-shaped Bluefin-21 is operating at the extent of its depth limit, have made for a slow-going operation. Launched from an Australian naval vessel, the device has so far made six deep-sea scanning runs but has detected nothing. Australia’s Prime Minister Tony Abbott on Thursday set a one-week deadline to locate the plane using the sub. “We have pursued every possible lead presented to us at this stage, and with every passing day the search has become more difficult,” Hishammuddin, who is heading up the Malaysian government’s response to MH370, told reporters in Kuala Lumpur on Saturday. As the search and rescue effort — expected to be the costliest in aviation history — wears on, authorities have indicated alternative methods may be needed, including deeper-diving devices. Hishammuddin reiterated this, saying adjustments “may include widening the scope of the search” and adding the number of deep-sea sonar vessels from commercial entities such as oil companies. He stressed the search would not be abandoned. “By Monday, I feel we will be in a better position to see what needs to be done,” he said. As for today and tomorrow, we will use the assets that are already available there and pray that something positive comes out. And if that happens, that planning which I detailed to you, will not be required. On Saturday up to 11 military aircraft and 12 ships were searching for the plane, Australia’s Joint Agency Coordination Centre (JACC) said, with a visual search being carried out over a total area of 50,200 (19,400) square kilometres. The Bluefin-21 has so far scoured 133 square kilometres of the ocean floor and was carrying out its seventh mission, it added. 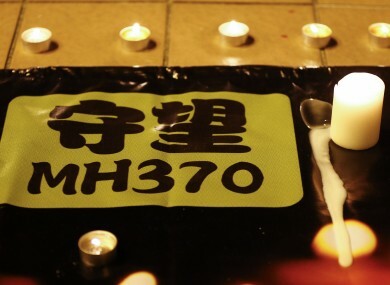 Email “MH370 search: "We have pursued every possible lead presented to us at this stage"”. Feedback on “MH370 search: "We have pursued every possible lead presented to us at this stage"”.